As you grow and find out new paradigm shifting information it is only natural to want to share it with those you care about and help move them on in their lives too. And so you do, full of excitement about the OMG moment you are about to create in their life. However what usually happens is their reaction could not be further from the joy you envisioned. Your revelation invites indifference, ridicule or even anger. They are just not ready for what you have to say, even if what you have to tell them could save them in some way. What you know may help them health wise or lighten the darkness they are experiencing in their lives but until the desire for change becomes imperative your declarations will fall flat. It is a cliche but it is true, everyone is on their own journey and even though you feel you can help avoid suffering in someone's life or speed them through a challenging time you have to allow them to work it out for themselves. A true lesson is only truly learned when it is felt. Being a leader, a maverick, a trailblazer has its accolades but what is rarely mentioned is during the period that you are ahead of your time - which could be your lifetime - you will have to stand alone, resolute in what you know to be true and endure the situation your views create for you. It rarely easy. You will have to develop great patience. Also when the penny finally drops you will probably never receive any thanks or credit. Your comfort must come from knowing that your information may make a slight shift and that you shared. 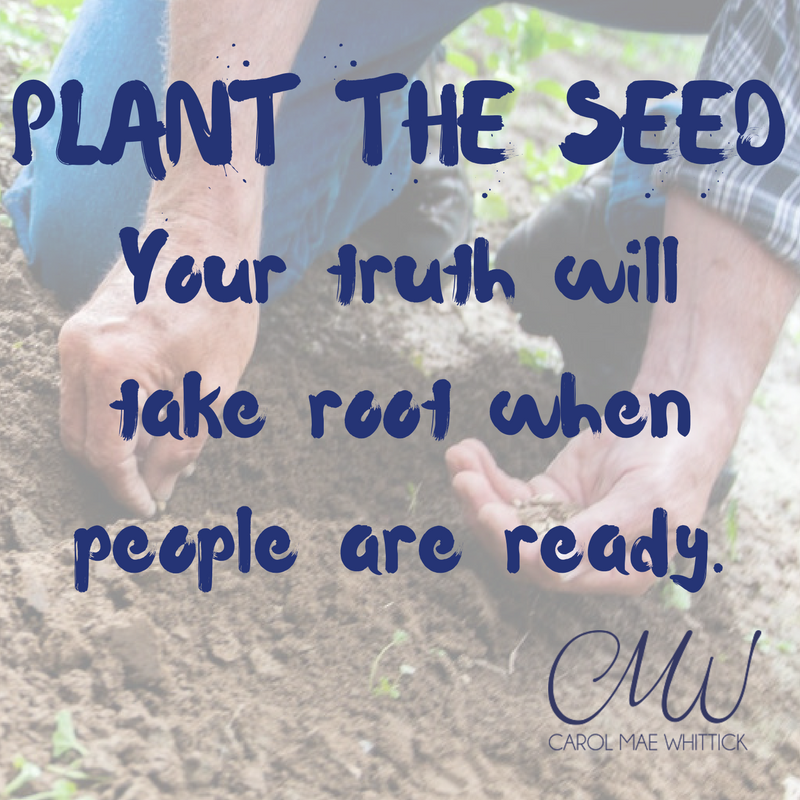 Your truth will take root when people are ready.